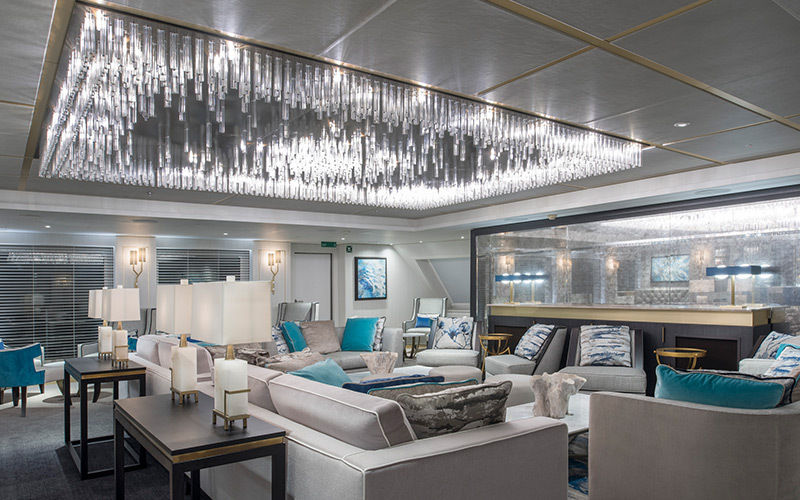 The Crystal Esprit, the first of Crystal Yacht Cruises luxury super-yachts, is primed and poised to bring 62 fortunate guests on special itineraries around the world. For the discerning traveler with a taste for the finer things in life, there’s no comparison to the Crystal Esprit. Located at the aft is the onboard marina, complete with snorkeling, kayaking, fishing and water skiing equipment. For an unparalleled underwater experience, hop into the Esprit’s personal two-passenger submersible. Back inside, share tales of your adventures with fellow guests as you gather in the energetic Resorts World At Sea casino, sip delicious cocktails in the Cove or capture awe-inspiring vistas from the top deck lounge. 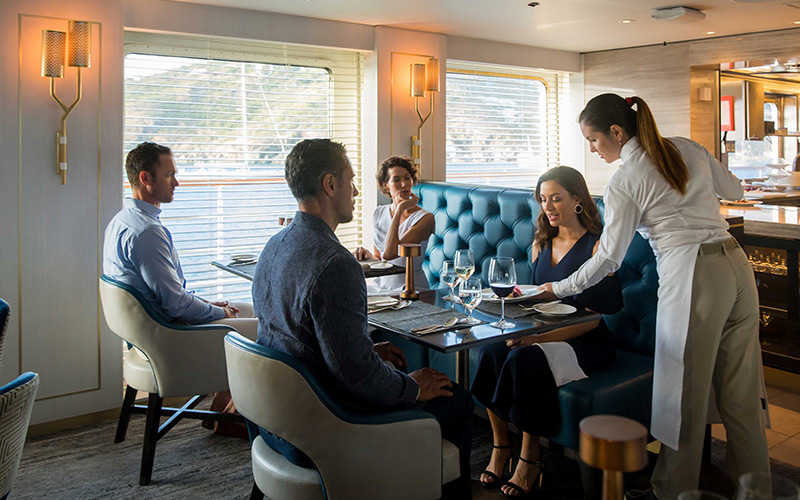 And whatever you do, whether it be onboard or at one of the stunning ports of call, don’t do it on an empty stomach – the Crystal Esprit’s Yacht Club restaurant is just too good to miss as it serves fresh dishes inspired by your itinerary region. 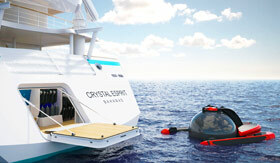 For more information on the luxurious Crystal Esprit super-yacht, contact The Cruise Web’s expert consultants today. Mounted on the rear of the Crystal Esprit is a state-of-the-art deep-sea submersible, so you and your guest can explore the vibrant underwater sealife while joined by a master navigator. These underwater explorations are completely optional, but certainly offer a unique experience. Unwind after a day of exploring exotic destinations with a cold drink at the Sunset Bar. As the day comes to a close, enjoy discussing past, present and future highlights of your voyage with fellow guests. Need a break from the weather? Move indoors and find good company at the Cove bar and lounge. 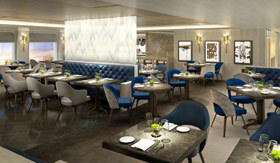 Enjoy world-class dishes designed around the various cruising regions visited by the Crystal Esprit. You’ll find fresh twists on popular classics, along with modern culinary masterpieces that only Crystal’s chefs could concoct. 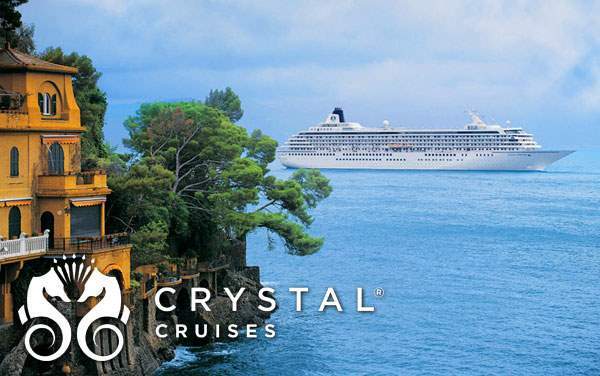 Boasting itineraries in exotic regions like the South Pacific, Asia and South America, in addition to popular destinations like the Caribbean, Alaska, Hawaii and Europe, Crystal Cruises truly offers a worldwide selection. 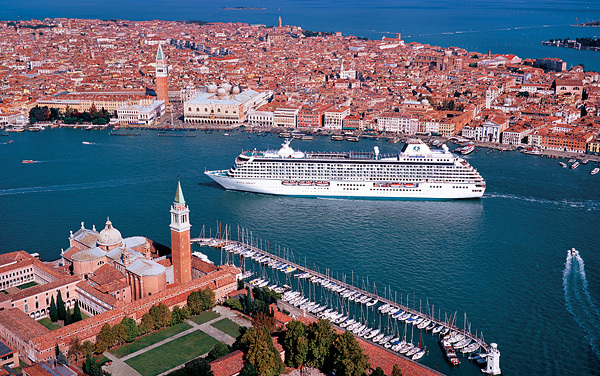 Crystal Cruises focuses on special, destination-intensive cruising experiences that feature absolutely enthralling shore excursions and inspiring regional touches. 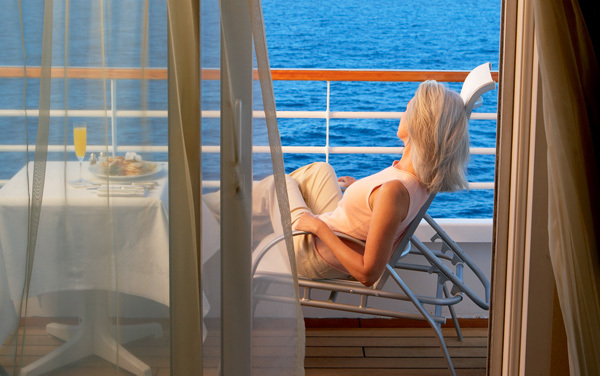 Fall foliage cruises to Canada, culturally enriching Mediterranean voyages and serene trips to Hawaii are just a few of the many options you have when choosing Crystal Cruises. 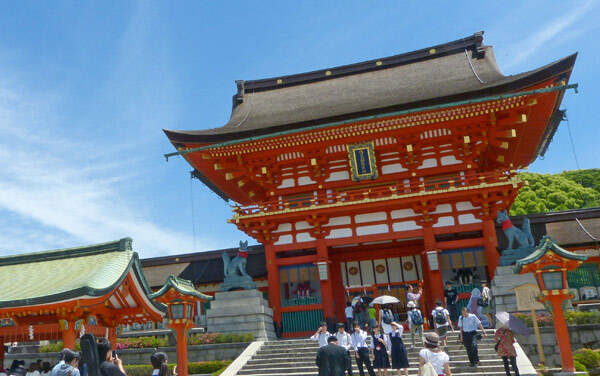 Experience the marvelous wonders of Asia with an in-depth and luxurious Crystal Cruises voyage. Voyage to rolling vineyards, fairy-tale castles and other architectural wonders on a luxurious Europe cruise from Crystal. 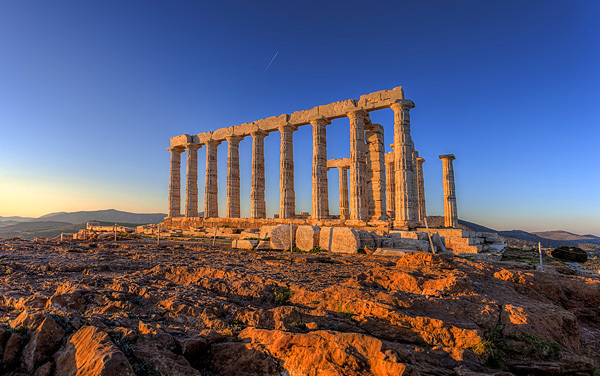 Inspiration in the form of cuisine, art, and historic grandeur—that’s what you can expect when you cruise to the Mediterranean. 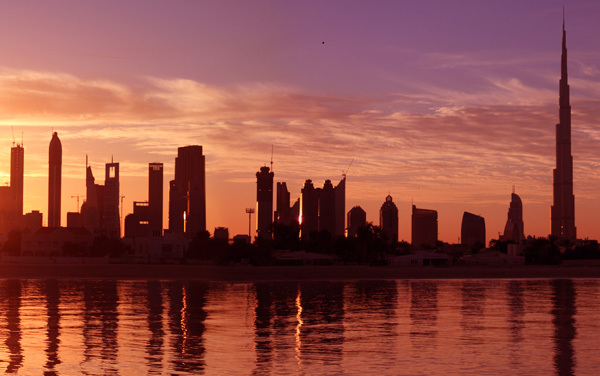 Is there a city you’ve always loved to explore. Not one of those world capitals like Tokyo, London or Paris, but a more exclusive luxury destination? Then you’ll be happy to know that luxury line Crystal Cruises sails to and from ports like Quebec City, Monte Carlo and Auckland in New Zealand, giving you a glimpse into a different shade of the world. 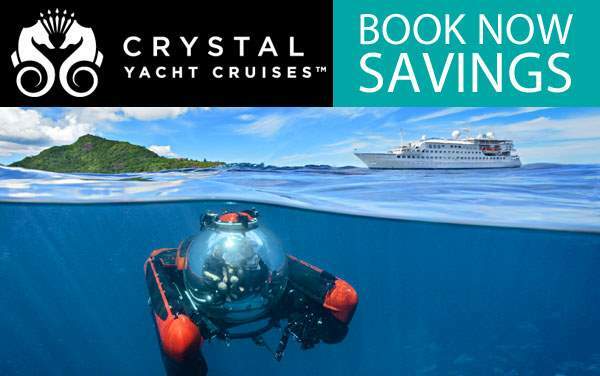 To get the best deals on a Crystal Cruise be sure to talk to an expert cruise consultant at The Cruise Web today! 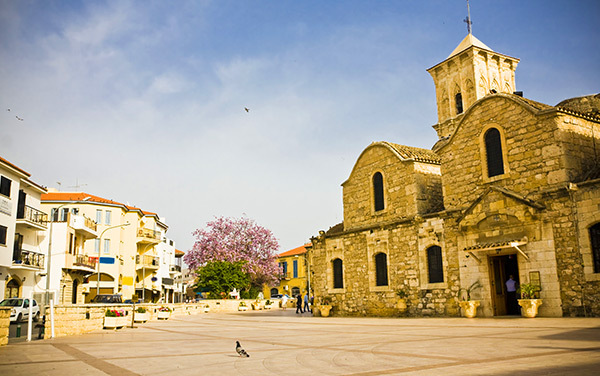 Discover Mediterranean wonders in Limassol, Cyprus. 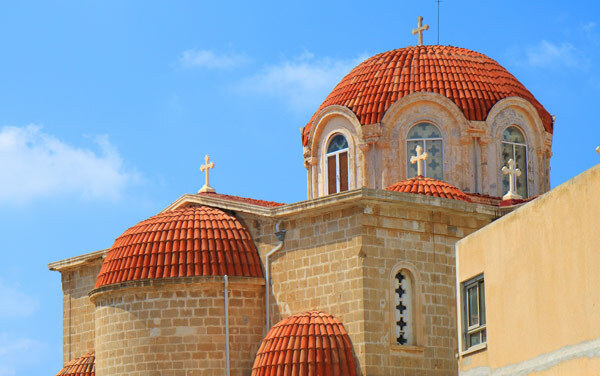 You can uncover ancient history, lounge on beautiful beaches and enjoy outstanding food and wine throughout the island of Cyprus. Expect to experience a great mix of Turkish culture and great beaches when visiting Antalya, Turkey. 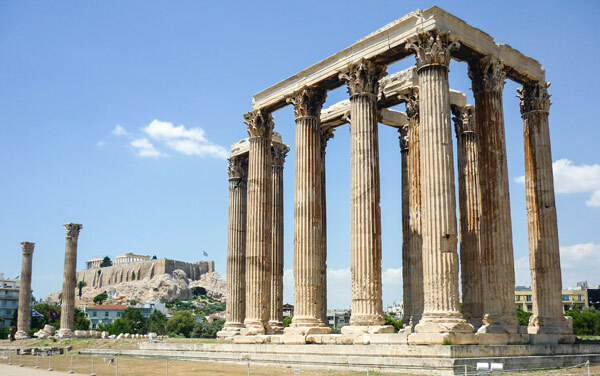 Kusadasi welcomes visitors from all over to discover the ruins of the ancient city of Ephesus, a powerful city that was once home to the Virgin Mary. This island is perfect for those looking to relax but also for those looking for an action-packed day in port! Truly the best of both worlds. 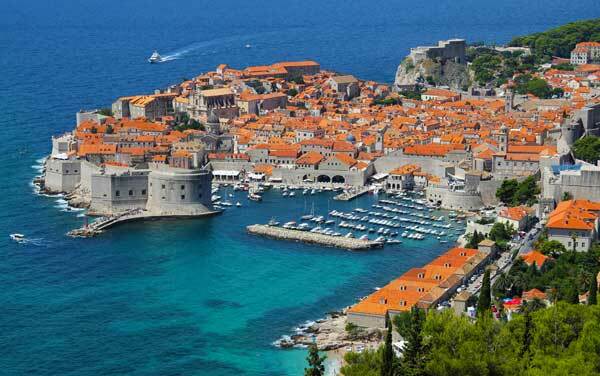 Enjoy a trip to Dubrovnik, a cultural gem that was once a great and powerful European city and has been spectacularly preserved for your visit. 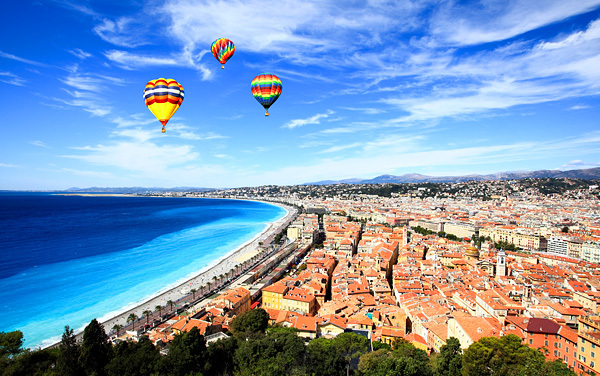 Exquisite weather, breathtaking views and great, fresh food make Nice second only to Paris in terms of France’s top hotspots. 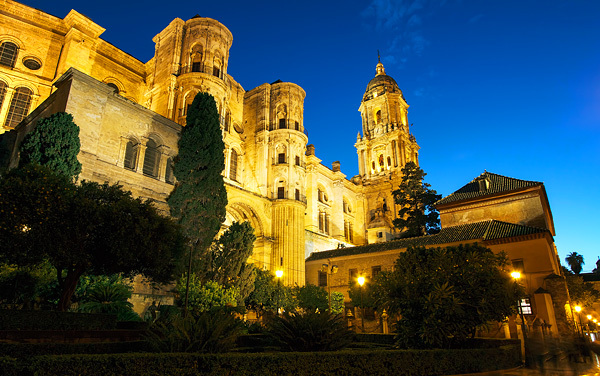 Cruise to Malaga, the celebrated home of Picasso, one of the modern era’s most influential artists. Other attractions include the beautiful Moorish castles and mesmerizing coastal cliffs. 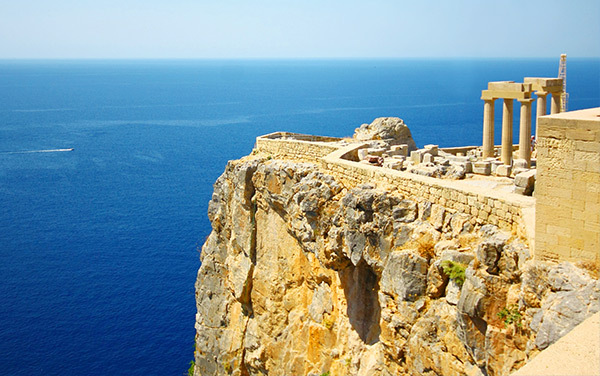 Cyprus' oldest city offers scenic vistas and beautiful beaches aplenty, as well as fascinating archaeological discoveries. Check out this photo gallery of Crystal’s onboard atmosphere to get a sense of the casual elegance they are known for. 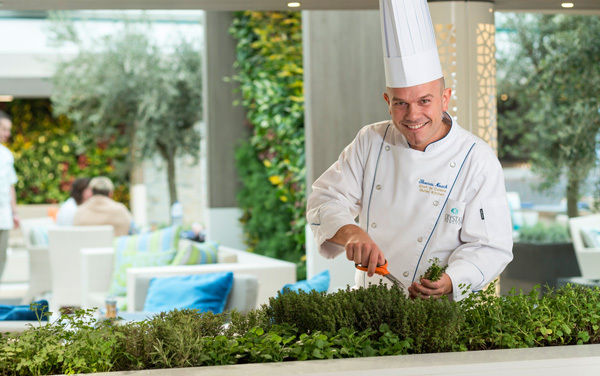 Can you imagine yourself lounging poolside or enjoying a delightful formal dinner? 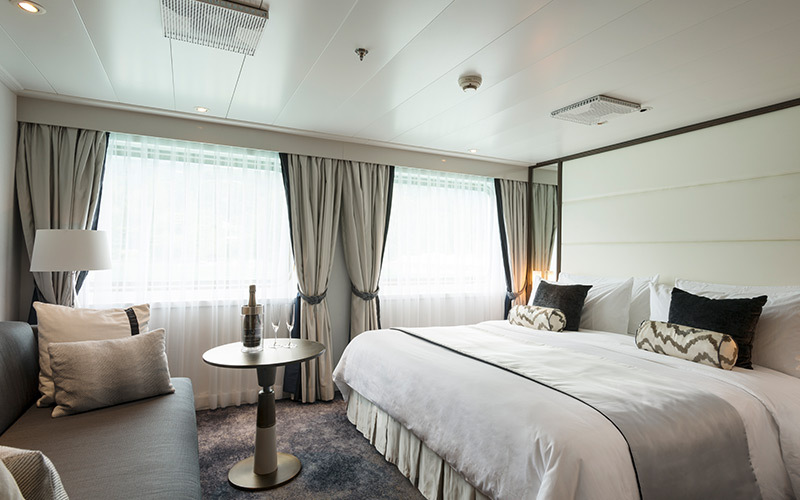 Learn about Crystal Cruises' handicap accessible cruises and accommodations for guests with special needs or disabilities, including elevators and special staterooms. 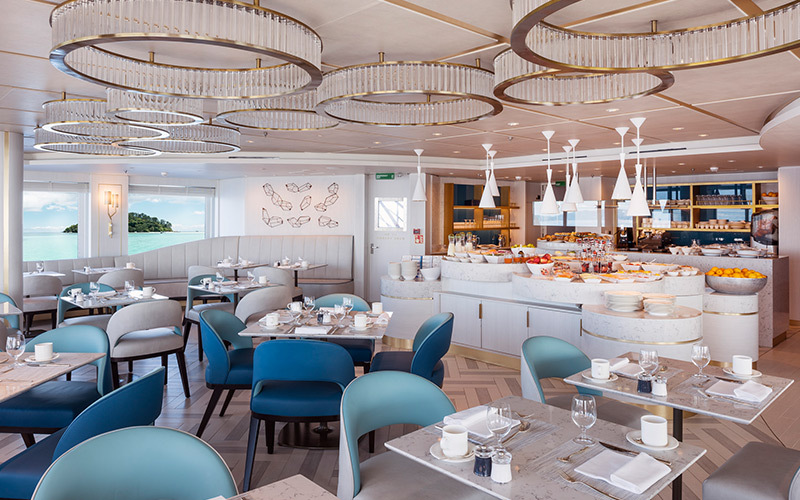 Savor dining aboard Crystal Cruises, including the main Crystal Dining Room, the Prego Italian restaurant, Silk Road and Sushi Bar, the Vintage Room wine bar, Lido Café, ice cream bar and more. 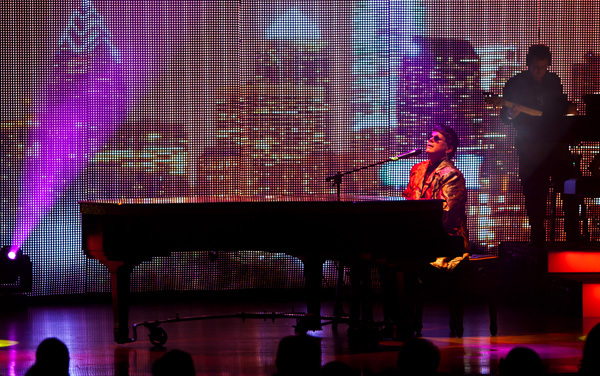 Enjoy Crystal Cruises' onboard entertainment, including Broadway-style productions, onboard movies, casino, guest speakers, celebrity entertainers and many bars and lounges. 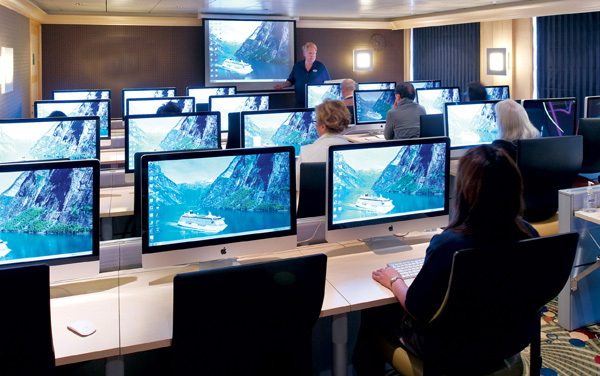 Take advantage of Crystal Cruises' onboard activities, including Creative Learning Institute classes, Crystal Visions lecture series, Computer University at Sea and duty-free shopping. 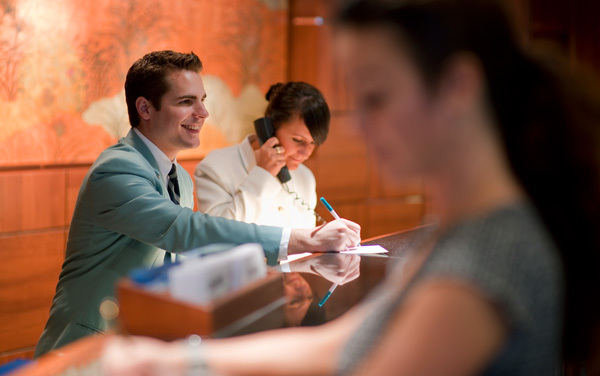 Learn how Crystal Cruises anticipates your every need with top-notch staff and an extensive list of luxury services. 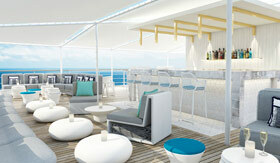 Plus, view Crystal Cruises' cruising awards. 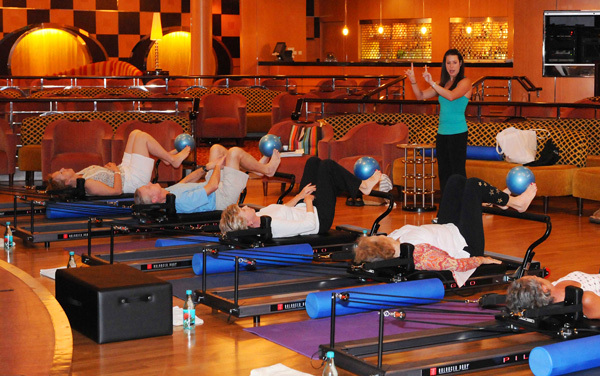 Relax at Crystal Cruises' fitness centers, spas and spa treatments. 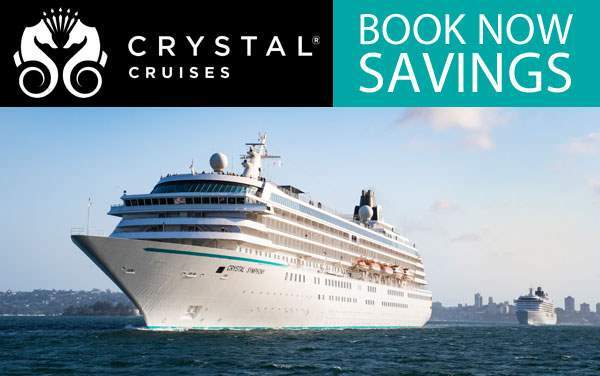 Crystal Cruises also offers dance classes, golf lessons and the Nordic walking program. 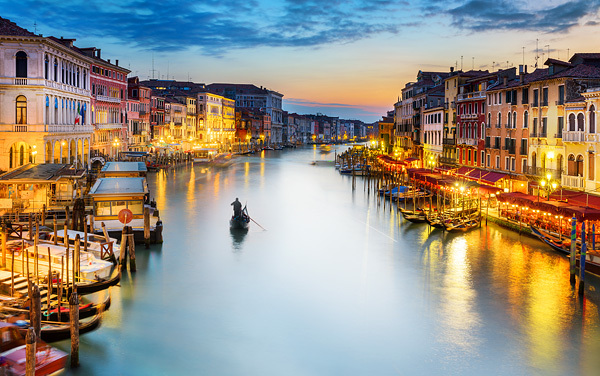 Learn about Crystal Cruises' special themed cruises for guests interested in ballroom dancing, wine, film, theater, golf, music, guest speakers and more. 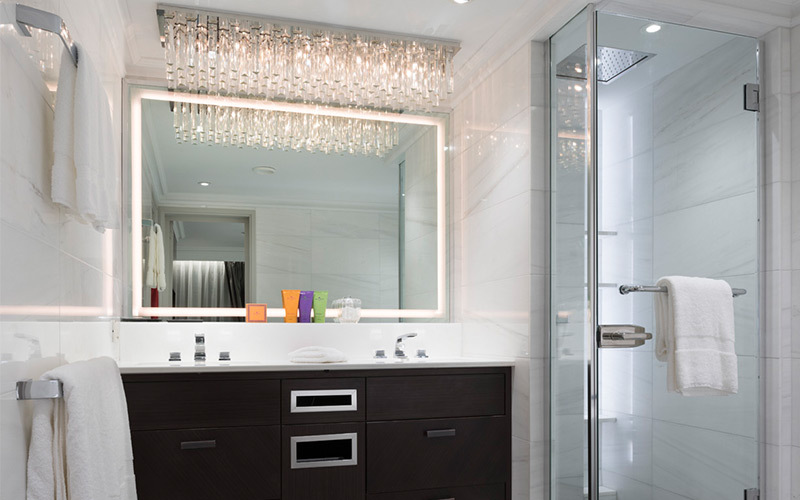 Explore Crystal Cruises' luxury staterooms, including Penthouse Suites, deluxe verandas and oceanview staterooms - each elegantly appointed with Aveda bath products. 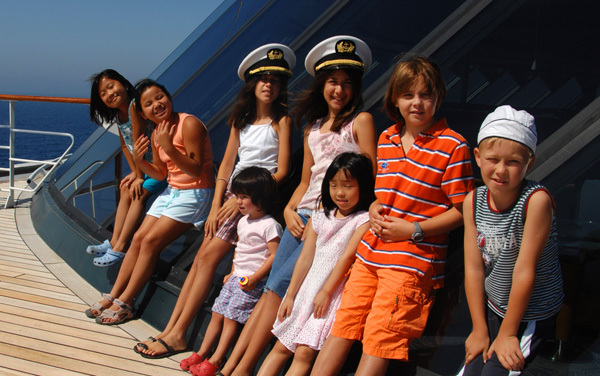 Learn about cruising with children aboard Crystal Cruises. Select summer and holiday sailings have youth programs for ages 3 - 17, including in-room babysitting, the Fantasia program for kids and Waves for teenagers.